Shoulder pain is a common symptom for athletes and office workers alike. These simple exercises can improve flexibility and prevent future injury. The shoulder’s complex structure makes it susceptible to injury, especially from one-too-many many weightlifting exercises. Whatever the cause of your pain or discomfort, the healing process often involves physical therapy to stretch and strengthen the surrounding muscles. Be sure to consult a doctor before beginning a physical therapy regimen, as shoulder pain can be a symptom of a variety of conditions, like impingement or a rotator cuff tear. The following exercises offer gentle stretching and light conditioning to get you on the road to recovery. The pendulum exercise can help you recover from a shoulder injury, as it encourages blood flow and develops your range of motion. To get started, stand near a table with your feet slightly more than shoulder width apart. Place the hand of your uninjured arm on the table, then bend over and let your injured arm dangle toward the floor. Shift your body weight in order to create movement in the arm: forward and back, side to side, or in a small circle. Do not engage your shoulder muscles, but let the arm swing freely. Start with 30 seconds of motion, a few times per day. Over the next few weeks you can gradually increase to several minutes of movement. You can also do a variation of this exercise on a bed if leaning over is hard on your back or neck, though you may need someone else to set your arm in motion. As your recovery progresses, you may be able to use light dumbbells to further stretch the shoulder — but be careful not to engage the muscles and risk re-injury. This exercise targets the rotator cuff, building strength in the scapula and rhomboids to prevent and relieve pain. It can also help strengthen your back and improve your posture. Stand with your feet below your shoulders, core engaged and knees at a slight angle. With a light dumbbell in each hand, palms inward, raise your arms out in front of you in a broad V shape. Then slowly draw your shoulder blades together. Be careful not to raise your arms above your shoulders. Hold this position momentarily, then lower. Repeat about ten times, for three sets. The rotator cuff muscles that allow for internal rotation are the supraspinatus and subscapularis. These let you draw your arm forward, with your palm facing in, and are commonly used in gym exercises and everyday life. Overuse causes these muscles to tighten, often leading to pain. To begin strengthening the rotator cuff, you can practice a simple towel stretch. Grasp a towel or strap with your right hand and drape it over your right shoulder so it hangs down your back. Your right hand should be level with the back of your head, or lower toward the back of your neck if it’s comfortable. Turn your left arm behind your lower back with your palm facing behind you as you raise your left hand to meet and grasp the bottom end of the towel. Don’t force the stretch, but spend 15 to 30 seconds just at your point of flexibility. Try three repetitions on each side, and over time you will be able to bring your hands closer together at your back. The external rotator muscles in the rotator cuff are the infraspinatus and teres minor. These typically get less training, which can create an imbalance and eventually lead to pain. To strengthen these muscles, use only one- or two-pound weights until you are able to easily add more, one pound at a time. Lie on your side, with your upper arm at a 90-degree angle, elbow against your side. Slowly rotate your forearm out and up, to your side, drawing your shoulder blades together until your palm faces forward. Hold for two seconds, then lower down. Repeat 10 times on each side. There are a number of exercises that involve shoulder retraction, and they all aim to correct a slumped posture. If your shoulder blades, or scapulae, are constantly hunched forward, it can affect how you use your shoulder joint, lift your arms, and stand. Poor posture can even affect the blood flow and nerves in your arms and hands, and make it harder to breathe by collapsing your chest. You should perform shoulder retraction stretches as much as possible to counteract these effects, and build up the muscles to help prevent shoulder pain. To begin this exercise, stand straight, arms at your sides, with your shoulders relaxed. Pull your shoulder blades down and back, without arching your back. Hold this for 5-10 breaths, and repeat 3-5 times. For a more targeted exercise, lie facedown on a mat, resting your forehead on a towel. Hold your arms straight out at your sides, palms down. Use your shoulder blades to lift your arms off the floor, holding this position for a few breaths. As you perform these exercises, keep in mind that shoulder pain can have many underlying causes, and without a doctor’s diagnosis you risk exacerbating the issue. Take your time when introducing new exercises into your routine to give your body time to adjust. To avoid further damage, be sure to start with no weight or very light weights for any strengthening activities. You should also avoid exercises that are counterproductive to the healing process. Stay away from common gym exercises like dips, upright rows, overhead presses, and lat pull downs done behind the neck, which can put stress on the neck and shoulders. 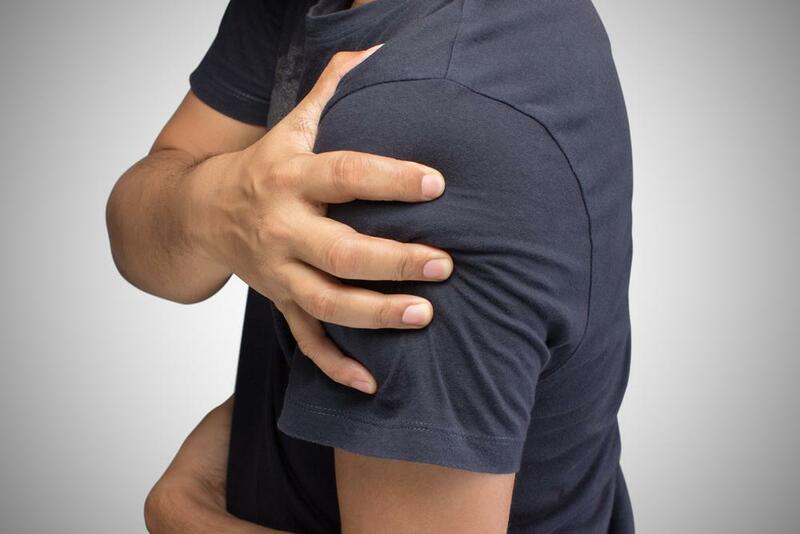 If you’re suffering from shoulder pain, you may want to schedule an appointment with an orthopedic specialist. 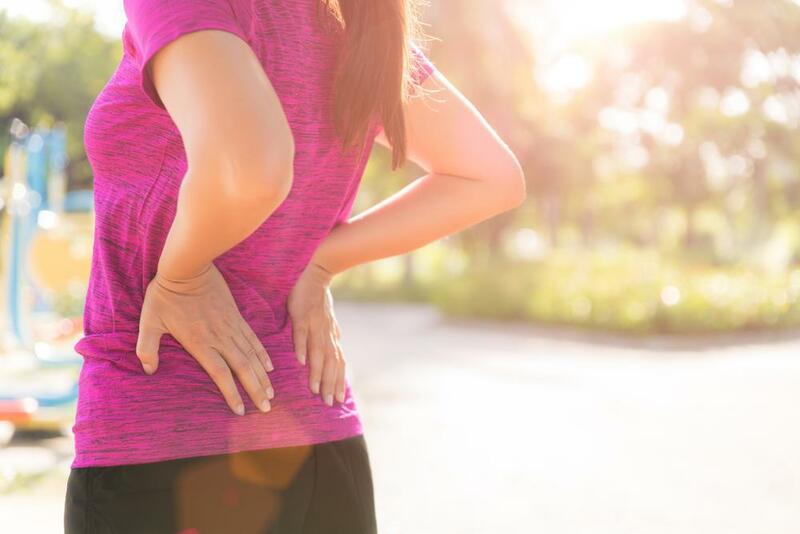 At New York Bone & Joint Specialists, we’ll help identify any underlying conditions that may be causing you discomfort, as well as build a personalized physical therapy regimen to get you back to your favorite activities.